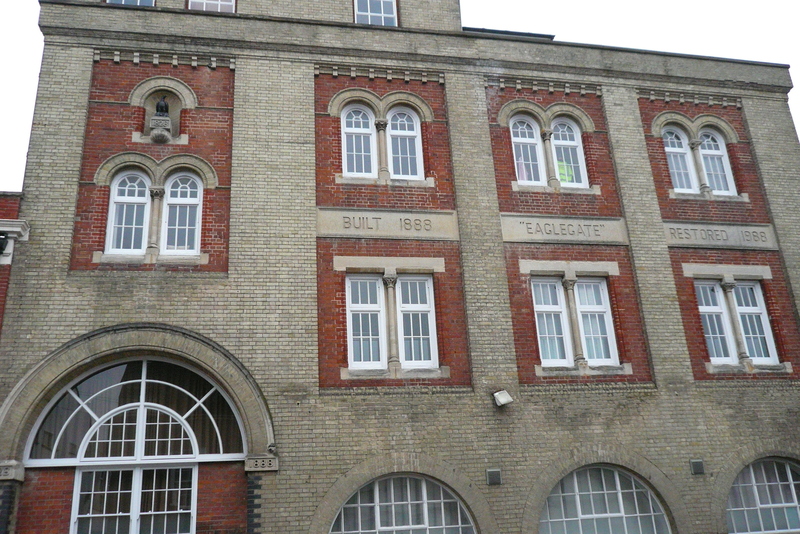 The weather restricted my photography trip last week – rain sent me to the British Library rather than out in the field – but I did manage to take a few photos of the former Eagle Brewery on Colchester’s East Hill. 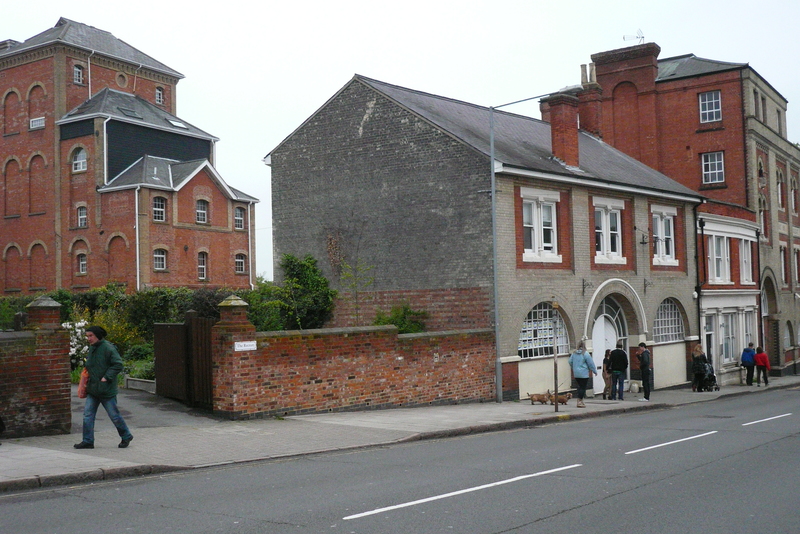 It is mostly listed now, and used as offices and residential accommodation; buildings date from 1828 and 1882, 1888, some being designed by Henry Stopes (1852-1902), son of the brewery’s founder. 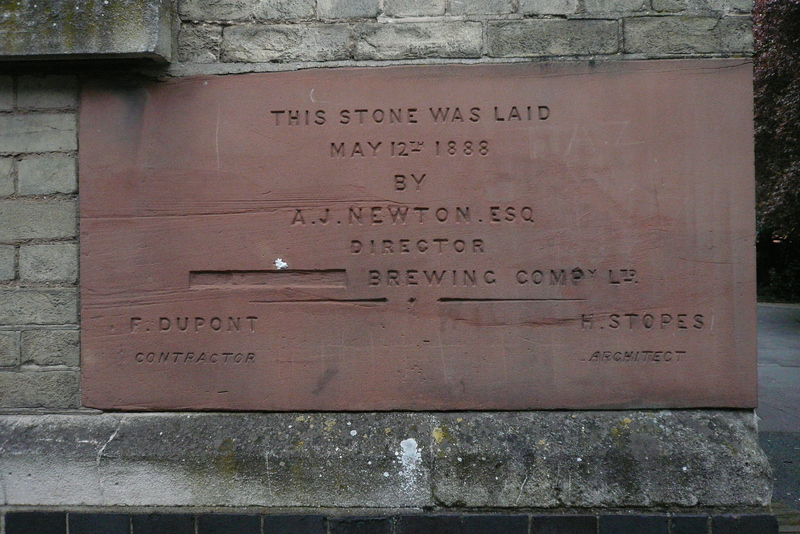 Henry Stopes had his own brewers’ engineering firm, based in Southwark, near the Hop Exchange, building mostly malthouses and malt kilns, although he put up breweries in the 1880s at Jennings in Cockermouth and Barclay Perkins nearby in Southwark. 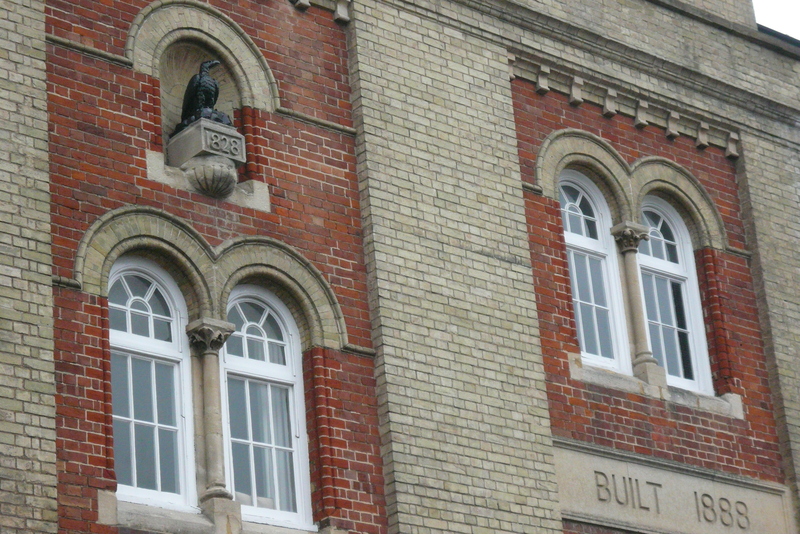 He’s probably best known as the father of reforming scientist Marie Stopes, but he was a great figure in the malting industry during the late 19th century.